Normally my drink of choice would always be water. Brb, I got thirsty there let me just drink some water. When I got thirsty whilst out and about in London, I would pop in a shop where they sell bottled water. Sometimes, when I feel like drinking something more than just water, I would go to Pret A Manger and get a cold drink. Pret always has a lot of selection cold drinks to choose from. I personally only went for their Pure Pret range. This is a variety of still water mixed with a bit of fruit juice. Recently they have added green tea to the range, which I think, is a clever idea. One of the drinks I went for was the Lemon Aid. This lemonade is different from your ordinary lemonade. One of the reasons why I only prefer to drink water is that other cold drinks are too sweet, I just can’t stand it. This lemonade is not that sweet at all which is perfect for me. It has no preservatives or weird chemicals as the bottle on my picture says. Another bonus which made me proud for picking up this drink was that it donated 10 pence to aid Pret Foundation Trust. This makes sure that Pret’s unsold food goes to charity and not in the bins. There goes my humble good deed of the day. So whenever you are in the UK and got thirsty, drink clean and share the love. Pret A Manger is available everywhere in the UK! On to you, what is your beverage of choice when you got thirsty? 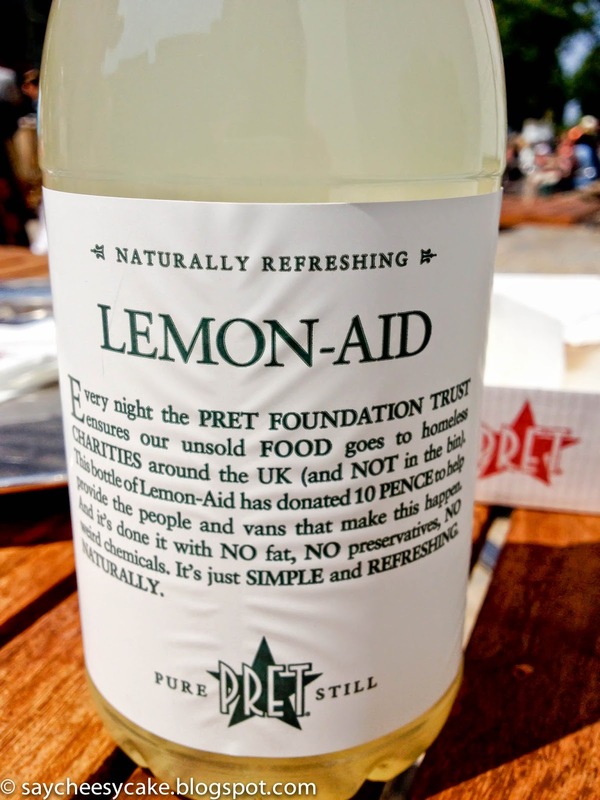 I love all pret a monger drinks, love the sparkling apple one as well, so affordable and yum! My first choice would also aaaalways be water! But this sounds way more refreshing than the usual sickly sweet lemonade. Usually I would stay away from lemonade over all! Love this idea of giving back with your purchase if I am given that option I would most definitely buy a product that gives back to the community.